Chicago police detectives are trying to track down a suspect in several residential and vehicle break-ins throughout our area over the past few months. The suspect, described as a bald, heavyset black man with a mustache, often uses a shopping cart to haul away stolen items, police say. Most of the incidents have occurred late at night or during overnight hours. • Breaking into vehicles in the parking garage at 918 Belmont around 11PM on April 19. A CWB reader reported that "a dozen cars or so" were targeted in this incident. • Breaking into 15 cars in a residential garage at 607 Wrightwood early on March 17. 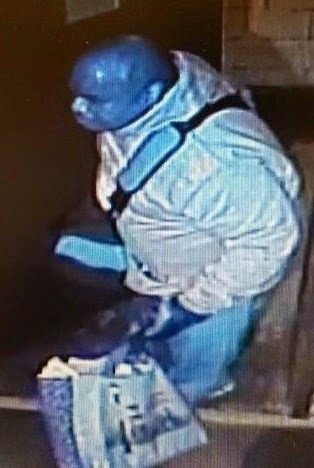 • The break-in of a medical office in the 2700 block of Racine on April 1. • Auto break-ins in the 1200 block of Diversey on March 31 and the 500 block of Briar on February 7. 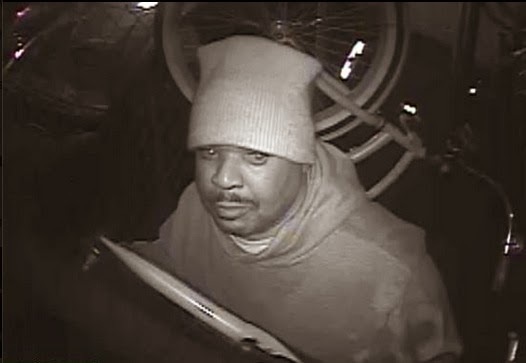 • A garage break-in in the 500 block of Briar on February 23. Anyone with information on this man is asked to call Detective Robert Ross at (312)744-8263 or call 911 if he is seen in action. You can download and print CPDs flyer on this case for sharing with neighbors.